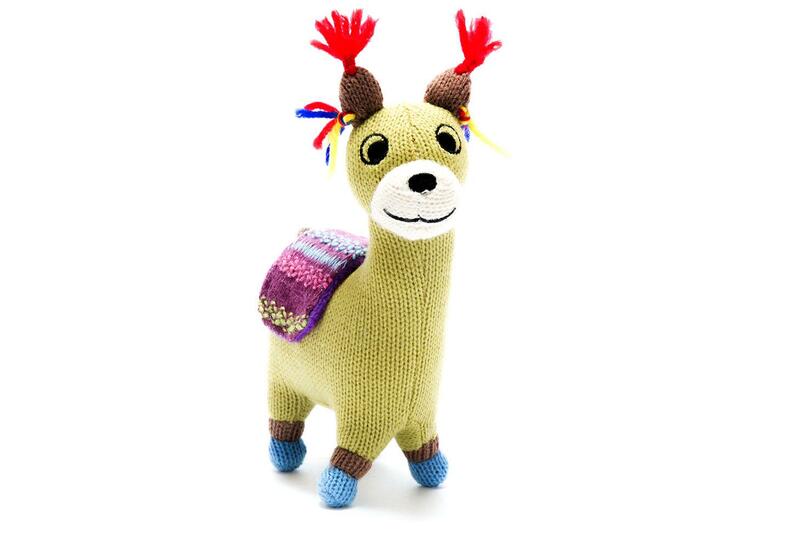 New to the Best Year's range are these gorgeous knitted llama toys. Complete with colourful blanket on its back, this llama soft toy has a smiley face, tassles around the ear and distinct blue feet. Machine washable and suitable from source. Ethically sourced.